UFC President Dana White has for six years promised Calgary, Alberta, Canada a big card after the flop that was UFC 149 back in July 2012. That card saw a slew of fights get cancelled due to injury, and the remaining card turned out to be a massive stinker, with fights such as Tim Boetsch vs. Hector Lombard and Shawn Jordan vs. Cheick Kongo being universally panned as terrible fights to watch. The fans in Calgary weren't happy, and White said the UFC would come back with a big card. 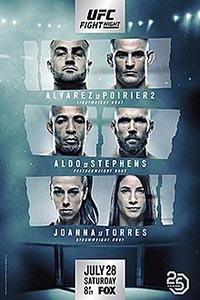 It has taken six years, but finally the UFC has returned, and on paper the company is giving back to the city it owes with a great UFC on FOX 30 card that features a number of exciting matchups, including a brilliant five-round main event rematch between top-ranked lightweights Dustin Poirier and Eddie Alvarez. 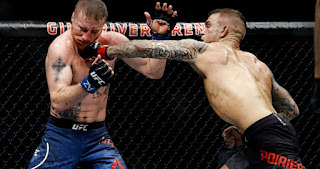 This fight between Poirier and Alvarez, both of whom are coming off brutal KO wins over the warrior Justin Gaethje, has huge stakes in the UFC lightweight division. After UFC Lightweight Champion Khabib Nurmagomedov and former champion Conor McGregor, the division is pretty much wide open. With Tony Ferguson still a huge question mark due to injuries, the winner between Poirier and Alvarez could slide right into that top contender's spot after Nurmagomedov fights McGregor this fall. But not only does this fight between Poirier and Alvarez have potential title implications in the UFC's stacked lightweight division. It also has bragging rights on the line, as the winner of this bout will have a good argument to be crowned the UFC's "violence king." At age 29, Poirier is really starting to come into his own as a mixed martial artist, and over the years he has become one of the most dangerous fighters in the UFC, especially since moving to lightweight. Poirier is 7-1 with 1 NC as a lightweight in the UFC, with five wins of those wins coming by knockout, including back-to-back TKO wins over Gaethje and former champ Anthony Pettis in his last two fights. All told, Poirier has a 14-4, 1 NC record in the UFC, with 10 of those wins coming by stoppage. 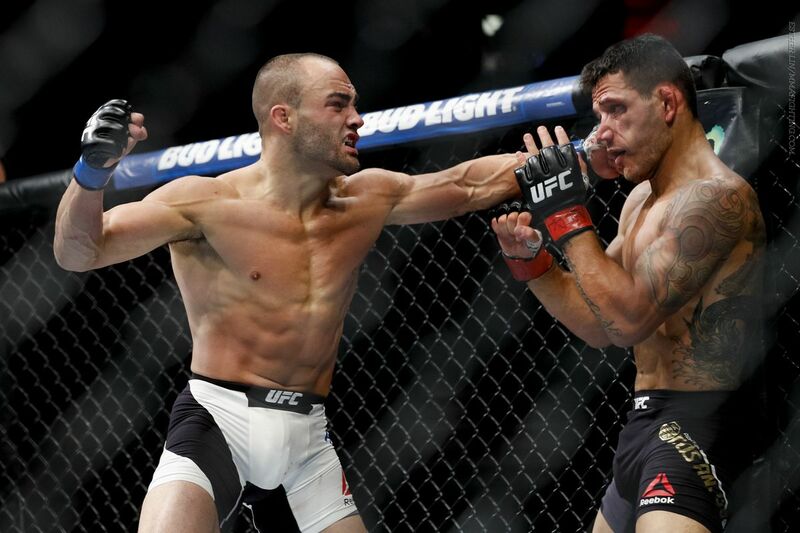 He has won a share of "Fight of the Night" in three of his last four bouts, with the lone exception coming in his first fight against Alvarez at UFC 211, which resulted in a No Contest due to an illegal knee by Alvarez on a grounded Poirier. Aside from the controversial fight with Alvarez and a surprising knockout loss to Michael Johnson, Poirier has pretty much beaten up everyone else he's fought in the lightweight division, inflicting a ton of damage and putting on some very violent fights. Alvarez is 34 now, but he's also fighting at a very high level, despite his age. The former UFC Lightweight Champion and former Bellator lightweight champion Alvarez is just 4-2 with 1 NC in the UFC, but almost every fight he's been in has been super violent and brutal. His last outing against Gaethje was an all-time war of attrition which he won late via KO, and you can't forget his knockout win over Rafael dos Anjos to win the title. It's true that Alvarez suffered a brutal KO loss to McGregor at UFC 205, but that was still a violent fight to watch. And you can't forget everything Alvarez did back in his Bellator days. The guy is just a ball of violence, as he's always in amazing fights where he just throws down with his opponents. 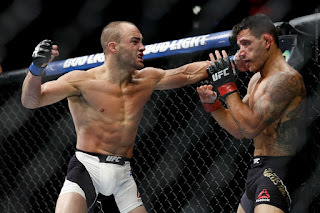 And after seeing what happened in his first fight against Poirier, even with the controversial finish, you have to expect the rematch to be just as crazy as the first fight based on almost every fight we've ever seen from Alvarez and Poirier. This rematch between Poirier and Alvarez absolutely has the potential to be the Fight of the Year. It will also determine who the UFC's most violent man is, as well as potentially the next title contender at 155 lbs. This is just an amazing matchup happening at the right time for both fighters, for the UFC, and for the fans. This was a fight that needed to happen, and now it's going to. The UFC got it signed, and now it's up to both men to go out and put on an amazing show, one which should pay back the fans in Calgary who suffered all those years ago at UFC 149. 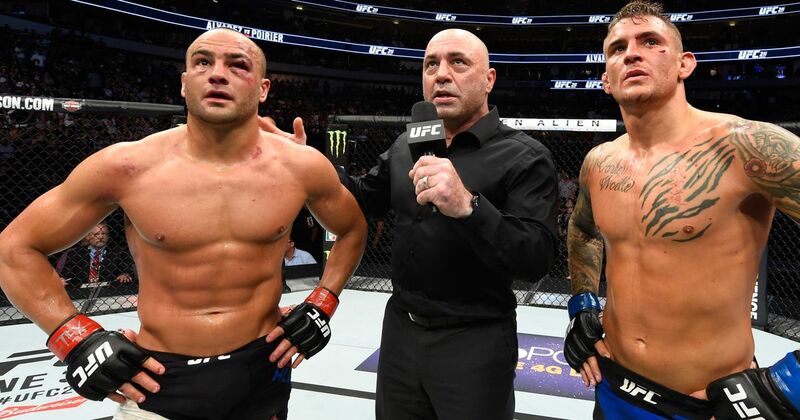 This amazing rematch between Poirier and Alvarez at UFC on FOX 30 is a fight with so much on the line, for both the two competitors' careers and the sport itself.